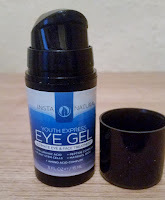 InstaNatural Youth Express Eye Gel. I have been looking around for an eye gel for sometime now so i was glad when InstaNatural sent me their product. black bottle with a snap off cap and pump to access the product. "ultimate eye and face treatment"
Hyaluronic Acid hydrates the skin and plumps the skin with moisture. Matrixyl 3000 firms the skin whilst the plant cells enhance its strength to protect against sun damage and other external aggressors. There are also nourishing benefits packed into this great eye gel and with all these combined this eye gel will help tackle eye bags, dark circles, puffiness, wrinkles and fine lines. Dab gently around the eyes, forehead and cheek area. Can be used as an all over face treatment and under makeup. Use morning and night for best results. Don't let the little size of this bottle put you off as you only need a little bit of the product to cover your eye area. The pump dispenses just the right amount to use when u press down lightly. The gel itself has a clean scent to it and glides over your skin with ease which is great as you can move the product around on your face. The skin absorbs this gel extremely well and as soon as i applied this gel around my eyes it felt quite refreshing. There wasn't any feeling of stickiness and it didn't feel like i had a load of product on my face. I could feel this gel refresh, soothe and tighten and those eye bags were being firmly banished! I think this is a really great product that u can fit into any skin routine you might have. It applies great, absorbs great and works great! 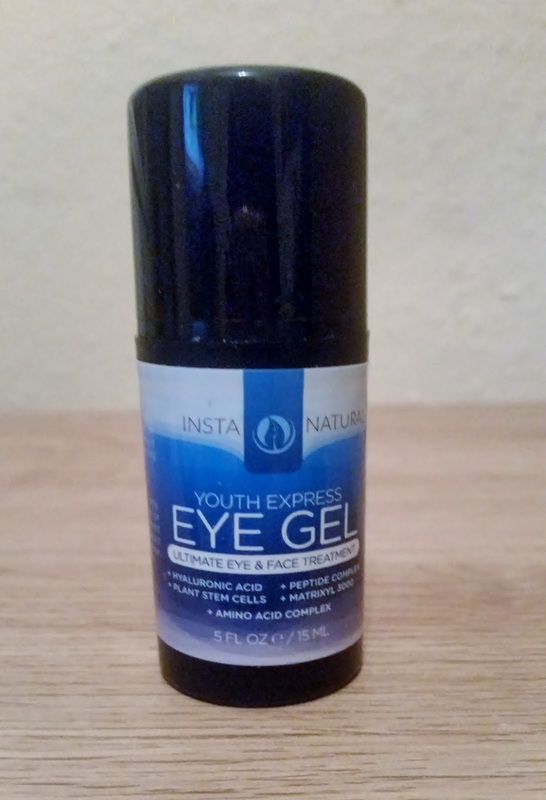 If your interested in this eye gel product, click on the link provided. X Neal.